The other day, a friend of mine, asked me which month is the best month to sell. Although he asked it with a little sarcastic grin as there really is no good or bad month to sell, it inspired me to give you the Realtor’s reasoning as to why to list “that” month of the year. January. Many relocations happen in January as companies budgets begin January 1 and therefore they know whether they will be bringing employees in or shipping them out. Also, if your new year’s resolution includes moving on, why not in January. Just remember as opposed to the losing wait and joining a gym resolution, once your house sells you cannot go back on that resolution. February. Because most sellers wait for the “spring market” to list their home, by listing in this month a seller gets a jump on the competition and possibly sell their home for slightly more than in the nexst few months, as Economics 101 tells us that a smaller supply increases demand. It also gives the seller a wide choice of home to purchase in March after their home sells. March. The “spring market” is upon us. The weather is certainly better and more buyers are looking and therefore a better chance to sell your home and a bigger selection of homes the seller can choose from. April. The “spring market” is in full bloom and buyers are buying and sellers are selling. Usually this month has the most activity. May. If all holds true, the April showers brought May flowers and the home is full of color. The weather is perfect and buyers are motivated because they want to be in during the summer. June. High school and college graduations and parents now contemplating their move to a smaller residence and buyers want to buy before summer vacations begin and to close before the upcoming school year based on an average 60-day contract to close timeline. July. Home sellers have sold their homes during the spring market and now are desperate to buy a home. Also the school year is even closer and you certainly want the kids to be in their classrooms on time. August. If a home is not sold, they will be re-positioning their prices to be put in line with what buyers are willing to pay and buyers, using an astute Realtor, recognize it and jump on it. And being in contract, most school systems will allow a student begin their school year in their new location. September. The weather is still nice and buyers have the chance to really explore homes without dragging their kids to look with them. More than likely, the local buyers (ones that already live in area) will be staying around. And it also gives the empty-nesters the ability to buy without worrying about schools. October. Buyers who want to get in before the winter always look and buy at this time. With the leaves changing their colors, the beauty of fall gives the buyer a whole different perspective on the look of the home. November & December. I combine these two months for they include the same reasons. Although less in numbers, buyers looking in these two months are the most motivated. They need to buy or they would not bother looking during the holidays and they want to be in by the beginning of the next year. It is also the time when the house looks its best between the holiday decorations of the home, the neighborhood and the community. So the question I answered for my friend was not as elaborate as above, but much simpler. 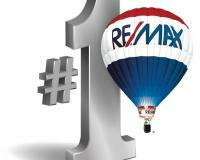 The best month to list a home for sale is when the seller lists their home for sale - upon need or desire. There are buyers all year round. The secret to selling any home is marketing, merchandising and pricing, to a market that is ready, willing and able to buy at that time. And interviewing and choosing a Realtor who can best assist you in achieving your goals just makes it that much easier. When it's time to sell your home it's time to contact me at 201.317.7527 or jdhalpernremax@gmail.com.